Whiteboard, wall mounted. This whiteboard is made of PVC Coated Steel and trimmed in anodized aluminum. It features a full length accessory tray and tack-able map rail. 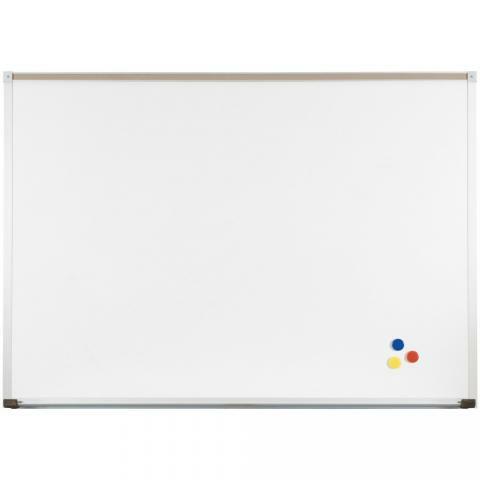 The magnetic whiteboard surface doubles as a magnetic bulletin board for your wall. Rubber end caps are included to cover trim edges.